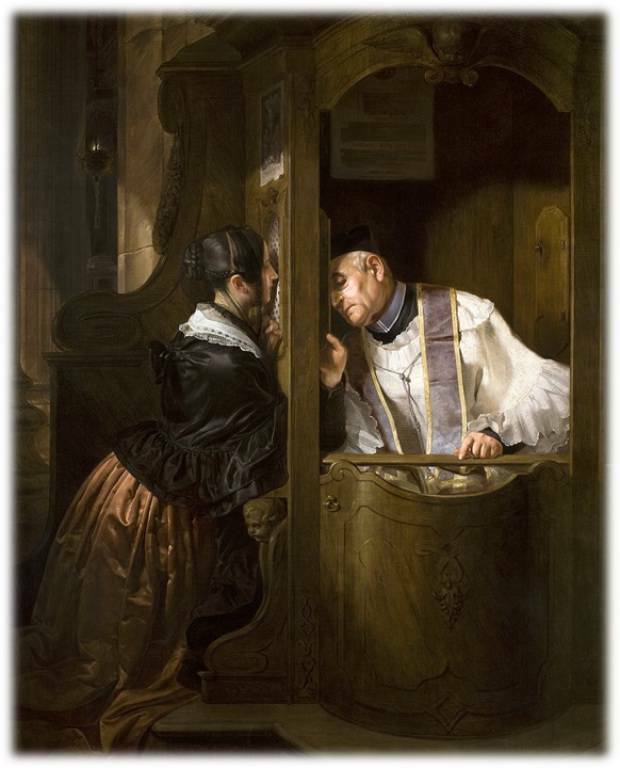 The Sacrament of Reconciliation is an experience of the gift of God's boundless mercy. In this Sacrament, our sins are forgiven, but we are also exhorted to "go and sin no more" (Jn 18:11) including extending that forgiveness to others who sin against us. The Church requires Reconciliation at least once each year, but many bishops and priests recommend once each month. Reconciliation is offered from 3:00 to 3:30 pm each Saturday and by appointment.